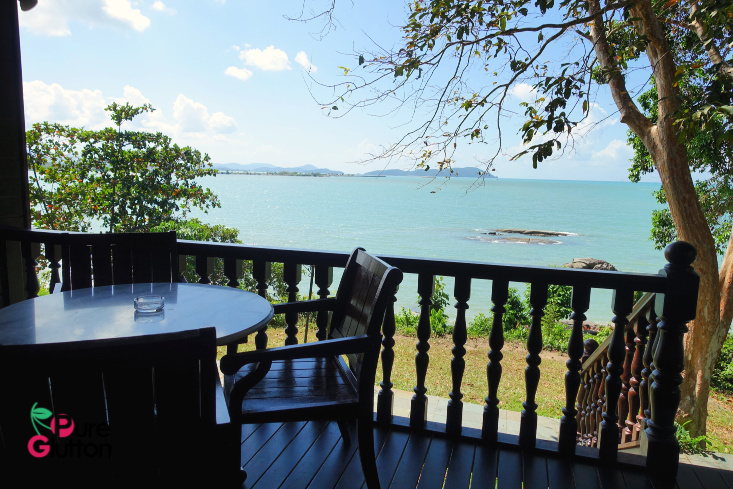 On a recent trip to the mystical island of Langkawi, we had a chance to stay at Dani Beach Cottage. 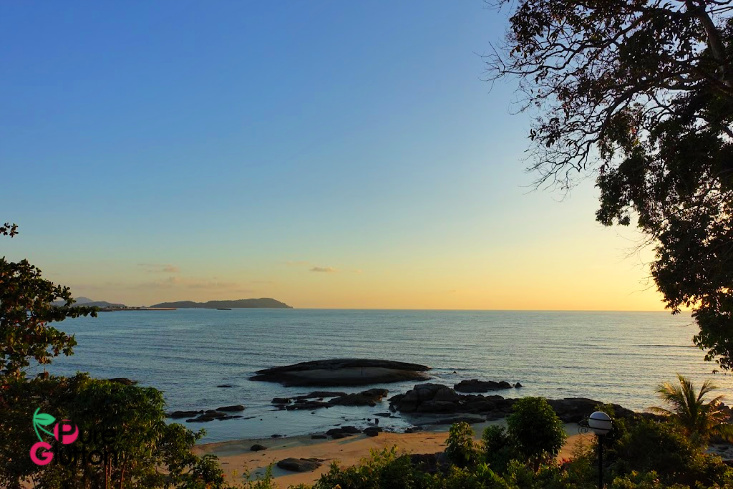 Yes, I always think of Langkawi as “mystical” – no other island has that impression on me. Maybe it’s all about the Mahsuri legend surrounding it, but every time I gaze at the island from the air as the plane lands, Langkawi has always seemed like a transcendent magical isle rising from the sea amidst swirls of mist and mystery. 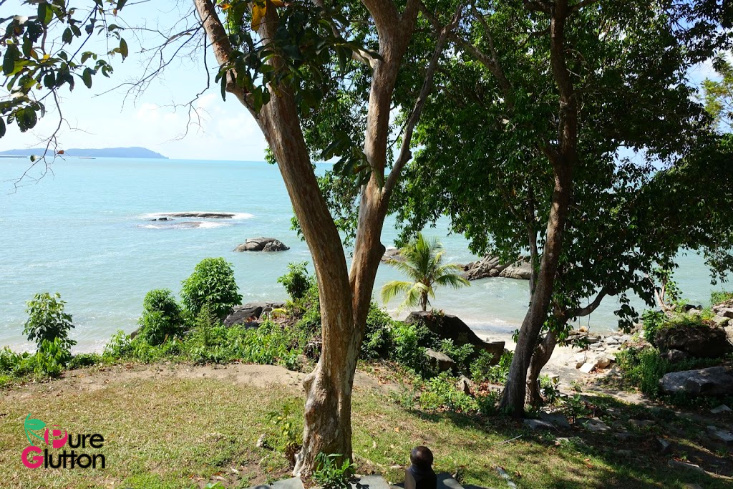 Lush green surroundings and your very own private beachfront! 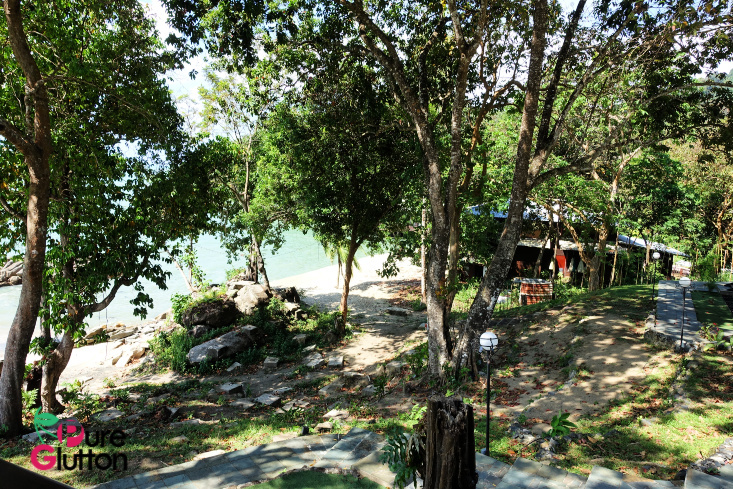 Dani Beach Cottage is located in the grounds of Century Langkawi Beach Resort (currently not operational) in Pantai Kok but is privately owned and managed by S&W Premium Collections. From the airport, it’s only about 15 minutes’ drive through quiet winding roads. The caretaker, Azura, was already waiting for us when we arrived. Smiling and friendly, she showed us in and briefed us on the workings of the cottage, telling us she’d be back with breakfast in the morning before leaving us to enjoy the premises. Yes, this is one of those rare AirBnB stays which include breakfast provided by a generous host. 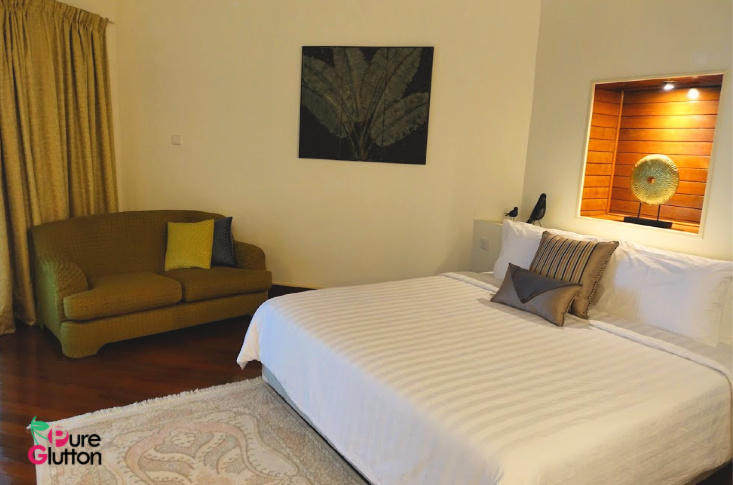 The cottage has 3 spacious bedrooms: 1 king bed in the master bedroom and bedroom 2 & 3 have a king bed + a twin bed each and all rooms have attached bathrooms. 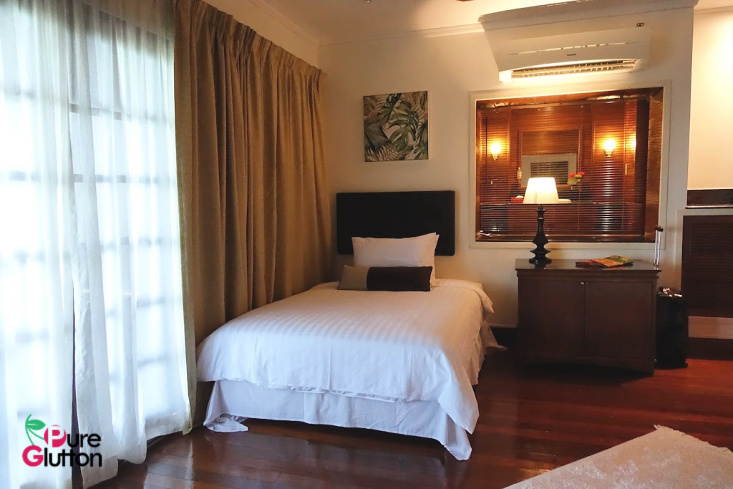 That means a total of 8 guests can be accommodated very comfortably in the cottage. 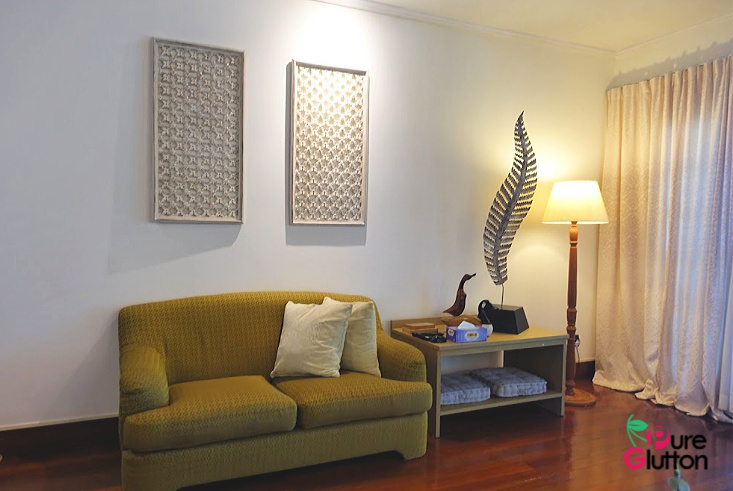 I love the warm rustic charm of the decor and furnishings with local touches enhancing the cosy premise. 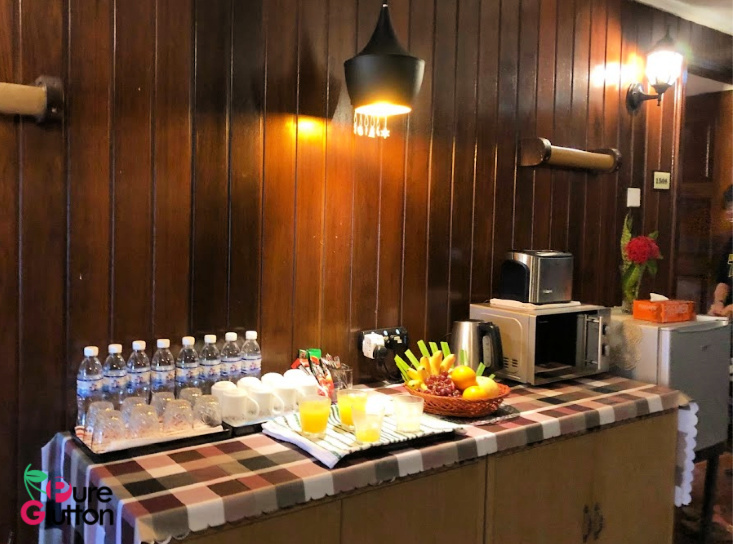 A welcome basket of fruits, batik sarongs for guests’ use during the stay, bottles of drinking water – these are all thoughtful gestures from the host. 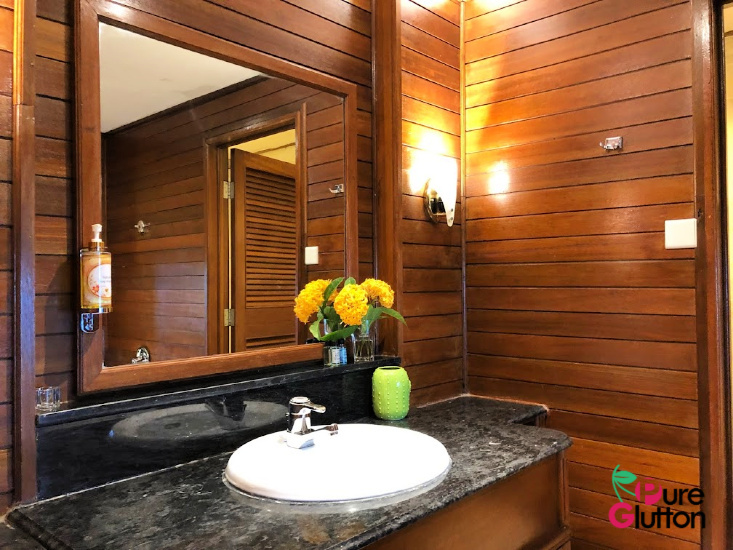 Bath towels and toiletries are laid out in the bathrooms. 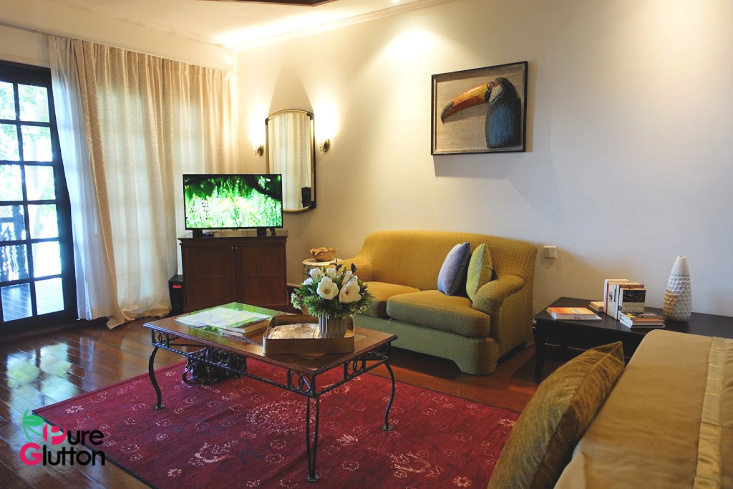 Besides the lovely abode, what’s really profound and memorable of this stay is the idyllic peace and quiet which envelopes the place like a surreal cocoon. 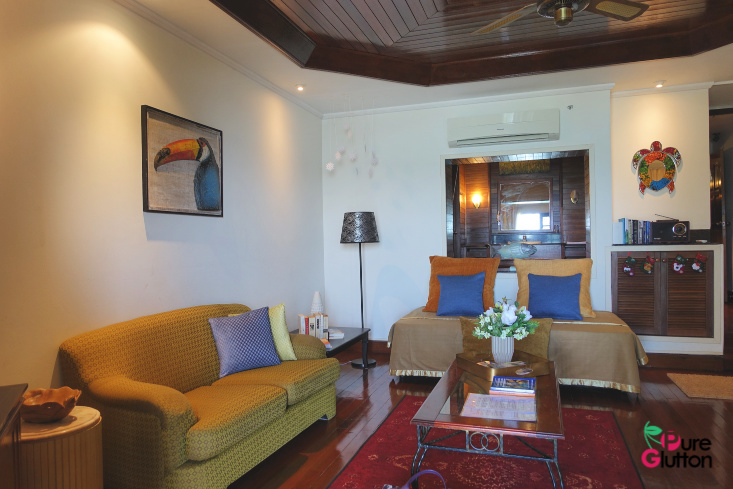 With its own private beachfront amidst the lush grounds, we felt like we own this entire corner of tropical paradise. 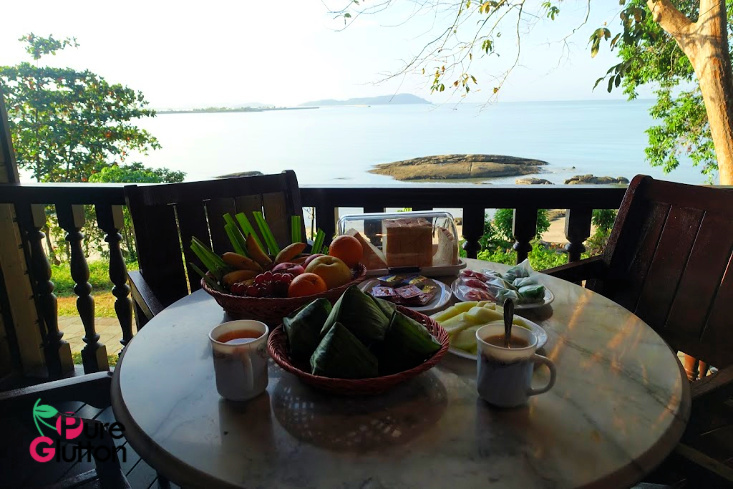 In the mornings, we had our breakfast on the balcony facing the calm ocean with only the birds calling out an occasional greeting while we enjoyed our nasi lemak, toasts and coffee. And in the evenings, it was just us savouring and admiring Mother Nature’s handiwork as she painted the horizon in glorious sunset colours. 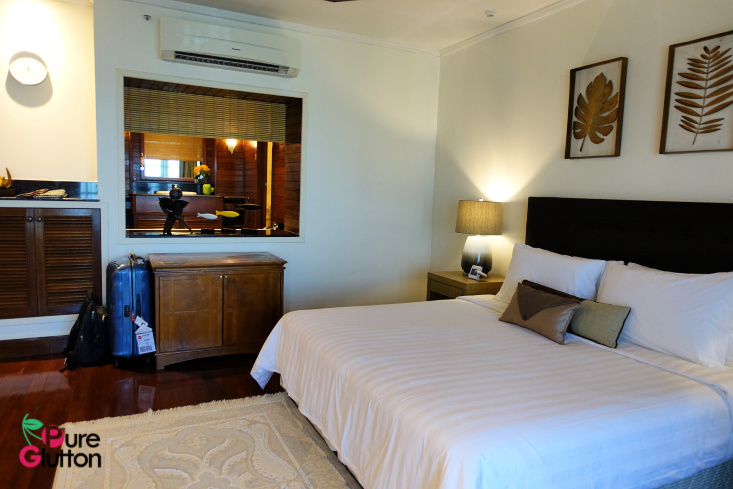 We slept very well during our stay – must be the island air and the super-comfortable bed. 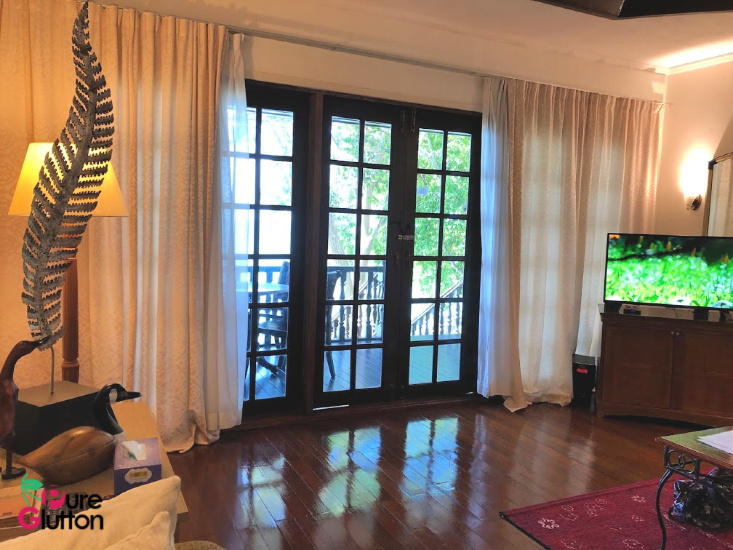 Besides going out for meals, a bit of shopping and a visit to the Langkawi Sky Cab (cable car), we spent lots of relaxing moments in the cottage – reading, watching internet tv and just chilling out on the balcony enjoying the sea breeze. 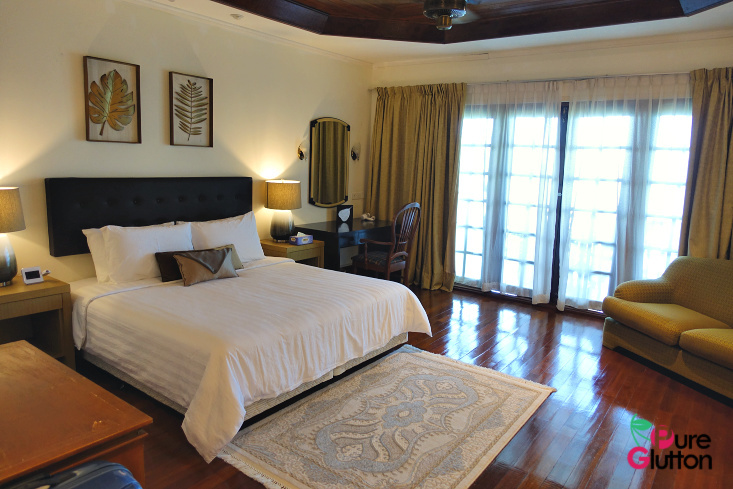 It’s best to rent a car in Langkawi (rates are very affordable) – makes moving around the island a breeze. There are many eateries in Pantai Kok itself, some just about 5 minutes’ drive away from the cottage. 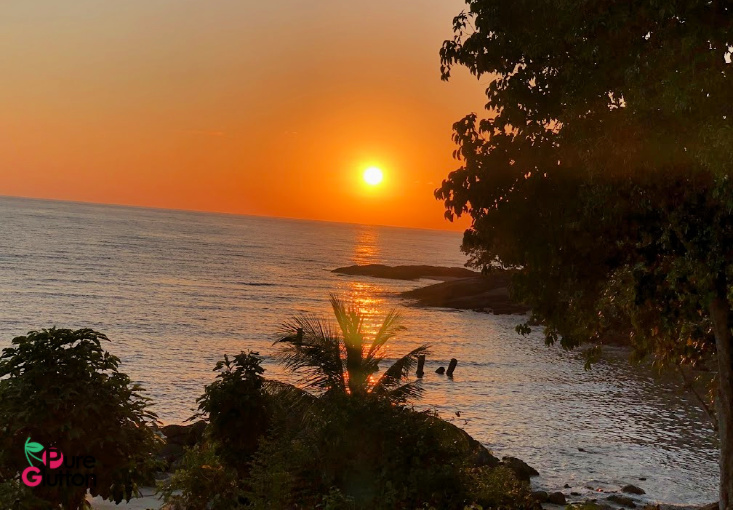 We had dinner in one of the seafood restaurants nearby (just about 3 minutes’ drive from Dani Cottage) and on another night, we drove further to Pantai Cenang for a spa session, followed by dinner at another seafood restaurant. 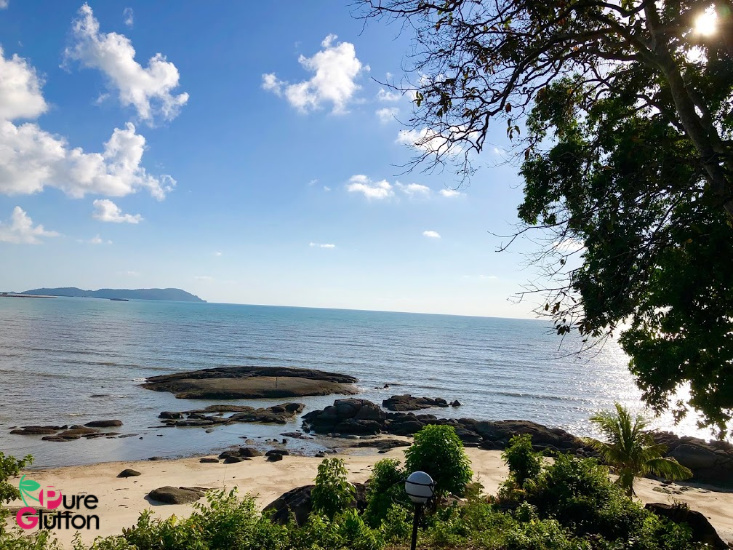 If you are looking to stay at a cosy, quiet & private place, with the ocean in front and lush greenery all around, Dani Beach Cottage is just the perfect spot. 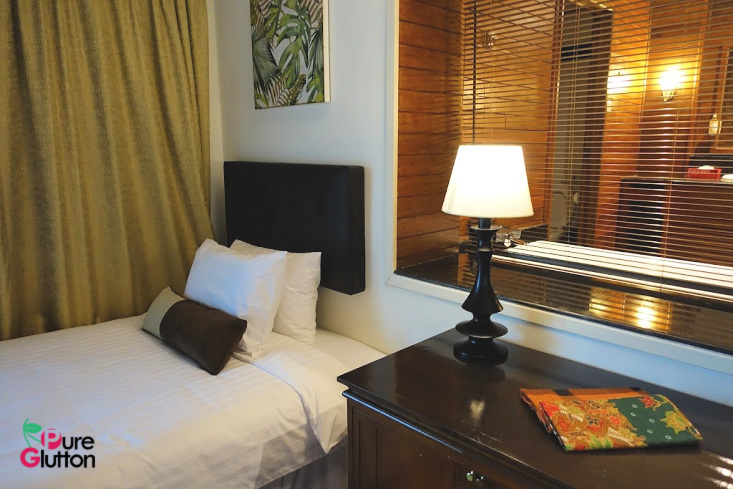 Get a small group together and enjoy Langkawi the Dani way. The host is very responsive and communication is excellent. I can get used to having breakfast like this every day! Sure looks like a great place to unwind for a few days. I don’t want to go on holiday there, I want to stay there! 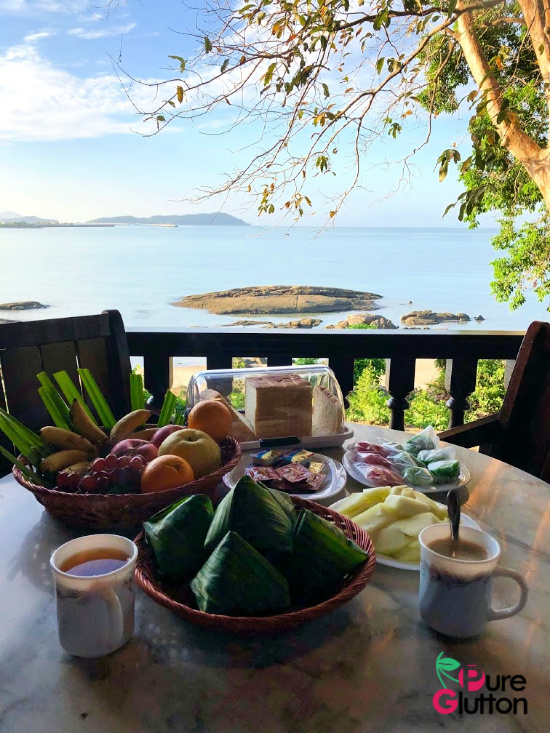 AirBNB with breakfast of nasi lemak, sign me up!